Written by Dean Edis on 26 January 2014 . Whilst developing Lunar Panda we wrote a very simple logger for capturing messages from the application. They would be written using Debug.WriteLine(), allowing us to examine them using a debugger. This was fine until, during beta testing, we wanted a simpler way for beta testers to be able to describe any issues they might find. In comes a new message logger, built on top of our powerful ‘Layers’ code. 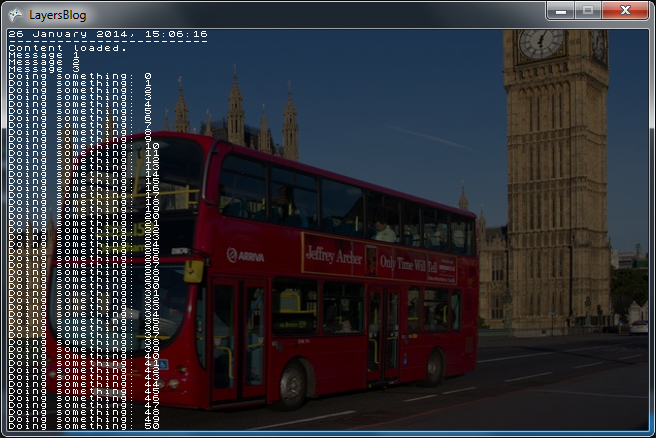 The implementation is still fairly simple, but the messages can now be accessed at runtime even without a debugger. We use SCROLL LOCK to toggle the visibility of the messages using a ‘layer’ on top of the main game screen. Here’s an example. Notice how the layer is slightly transparent, allowing us to ‘dim’ the background and make the message text clear to read. Written by Adrian Killens on 19 January 2014 . 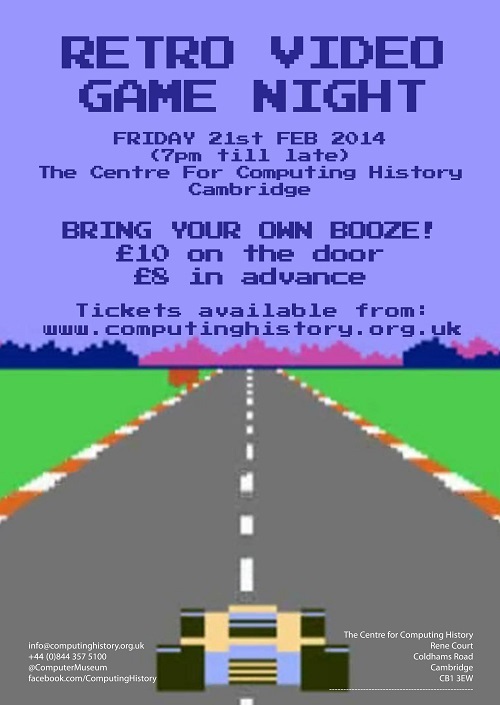 I'm going to be helping to organise another Retro Video Game Night at The Centre For Computing History on Friday 21st February 2014. We got some great feedback after the one we did last year and so we're doing it all again! Dean and myself will both be there and we'll hopefully have the latest version of Lunar Panda Deluxe available for you to play along along with everything else the museum has to offer. There'll be a whole load of different games, consoles and computers for you to play on but if you're after something specific then feel free to get in touch and we'll see what we can do. Once again it's bring your own booze (so over 18s only) and a burger van is going to be parked outside. Written by Adrian Killens on 16 January 2014 . The guys over at Crazy Horse Gaming have kindly done a Playtest of Lunar Panda Deluxe as part of their Throwback Tuesday this week. We'd like to take this opportunity to thank them for helping us get the word out about Lunar Panda they've been extremely supportive of the whole thing and they even introduced us to the highly addictive world of Minecraft. Go and check their site out if you get a chance they've got some awesome content for gamers.